Interactive map, photo gallery, and walking tour series about San Francisco's remaining ghost signs. As as summer of 2015 there were 350+ points to the Google map, sorted by type, including business name, brand name, undecipherable, or restored. 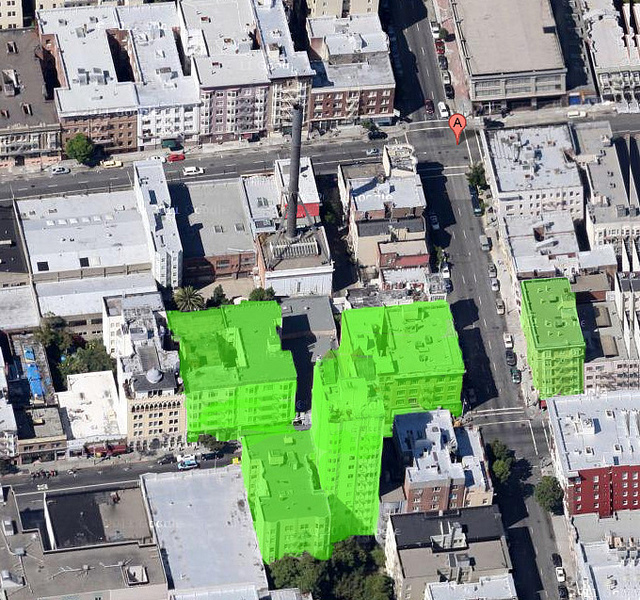 Research on signs and building ages in the Tenderloin. Research on signs and "lines of site" in the TenderNob. Ghost sign Flickr gallery with historical annotations included. Ghost sign Flickr gallery, summer 2015. 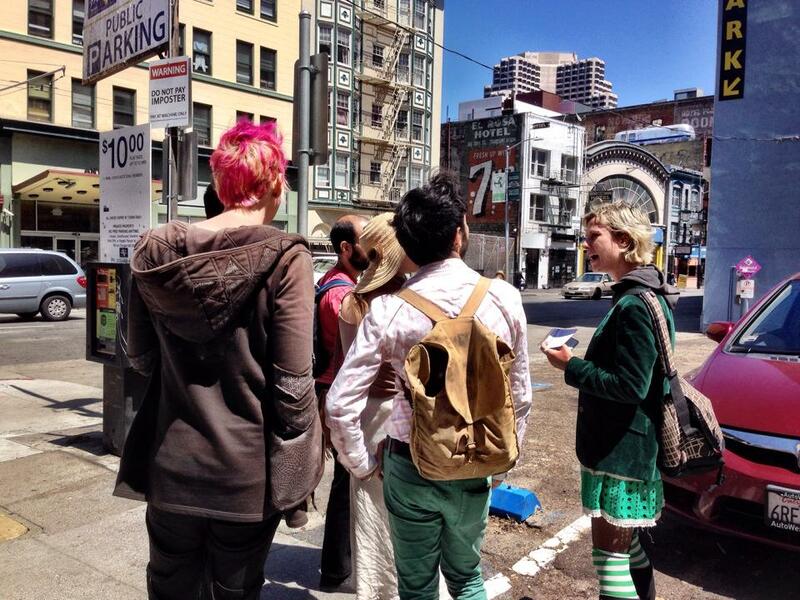 Tenderloin Walking Tour Spring 2014. 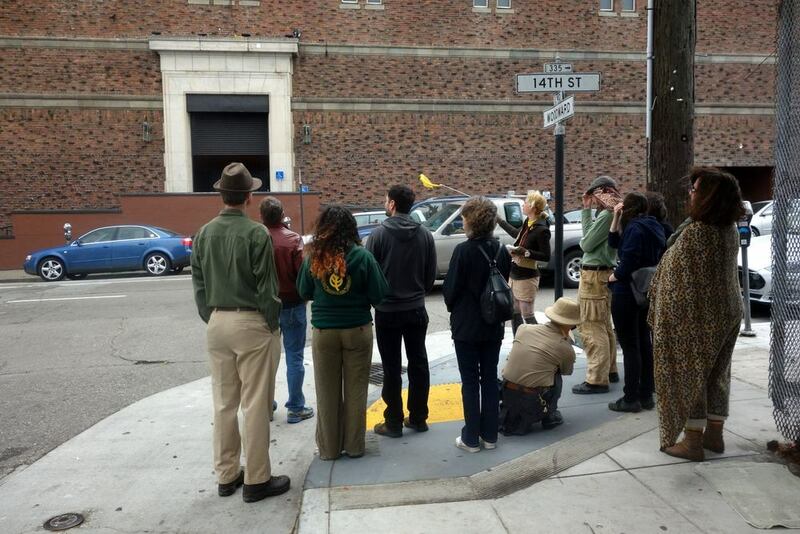 Ghost Sign Walking Tour, presented in conjunction with Nerd Nite SF, fall 2014. Mission Walking Tour, Sunday Streets 2015. June 2014 Nerd Nite talk on using Google Satellite View to discover and research ghost signs obscured by post-earthquake development. Article on the ghost sign mapping project. 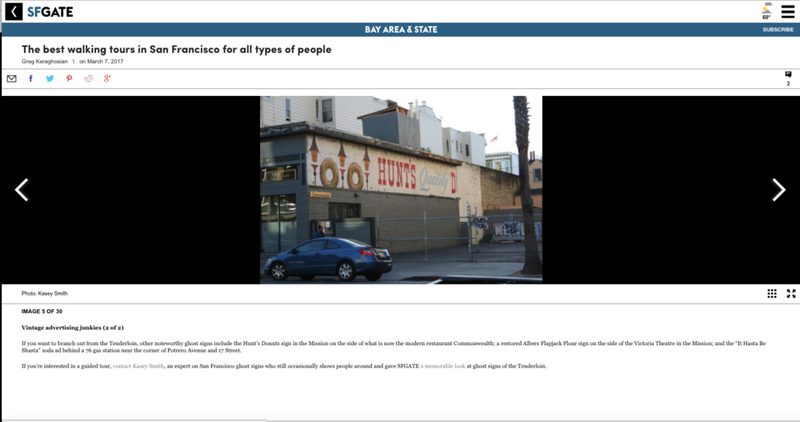 SFist article on the ghost sign mapping project. 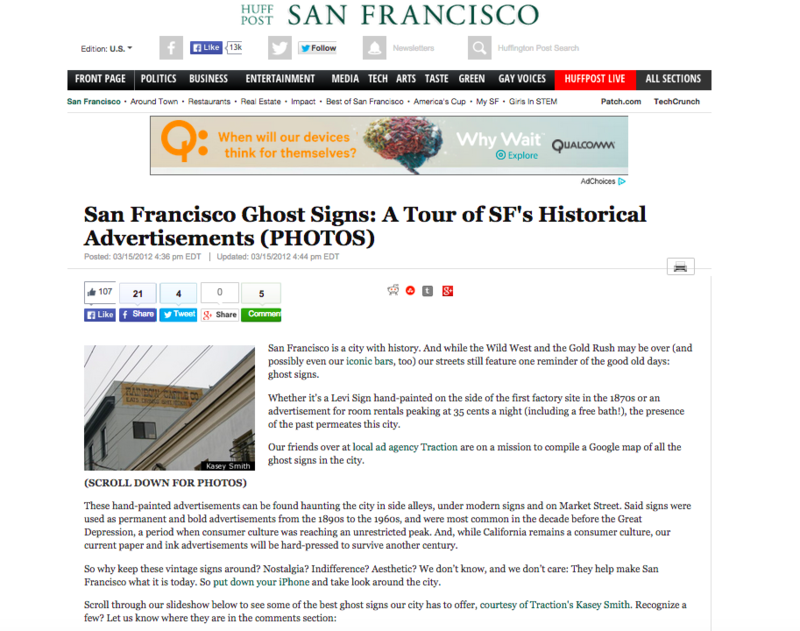 Article mentioning the tours for the Ghost Sign Mapping Project.